Electronic Arts (EA) announced on Thursday that its popular "FIFA" soccer video game series would include women players for the first time. 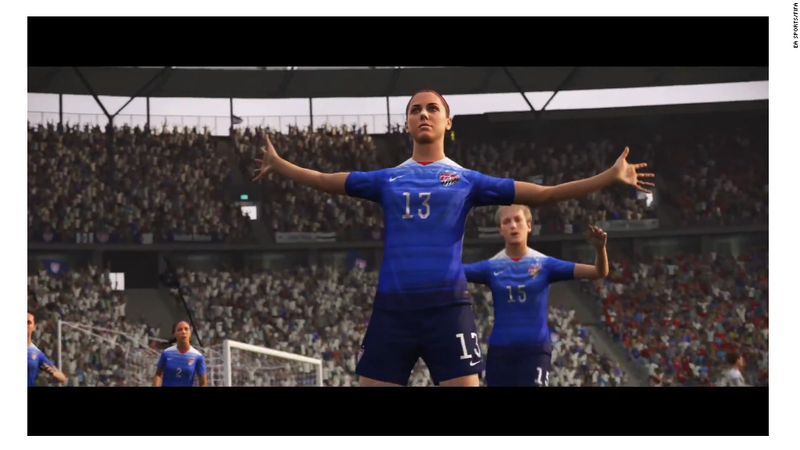 The next game in the franchise, "FIFA 16," will include 12 women's national teams when the game is released in the fall. Women's national teams like the United States, France, Germany, Brazil, China, England, and Mexico will all be involved. "We're all excited to see ourselves in the game, but even more excited to see the reaction from all of the fans, including the fans of our team that maybe wouldn't be expecting something like this from EA Sports," said Abby Wambach, one the Team USA's top players. EA's announcement came one day after 14 FIFA officials were indicted by the U.S. Justice Department for crimes ranging from racketeering to money laundering. The FIFA series is one of the most popular brands in the EA lineup. 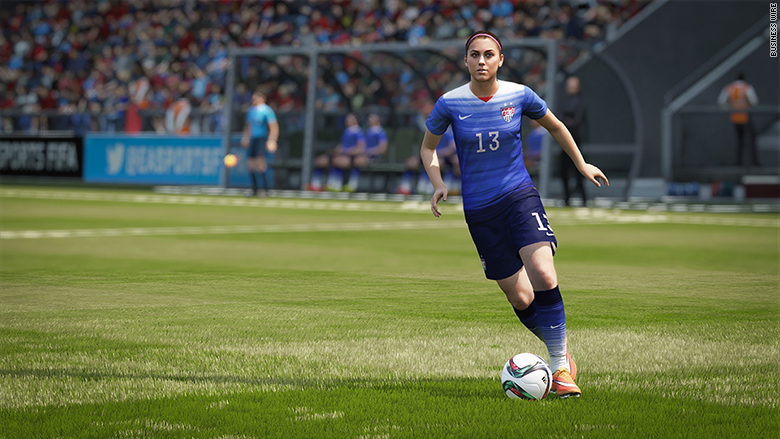 Revenue from its "FIFA 15" game represented 15% of EA's total sales last year, according to company filings. That works out to more than $600 million. 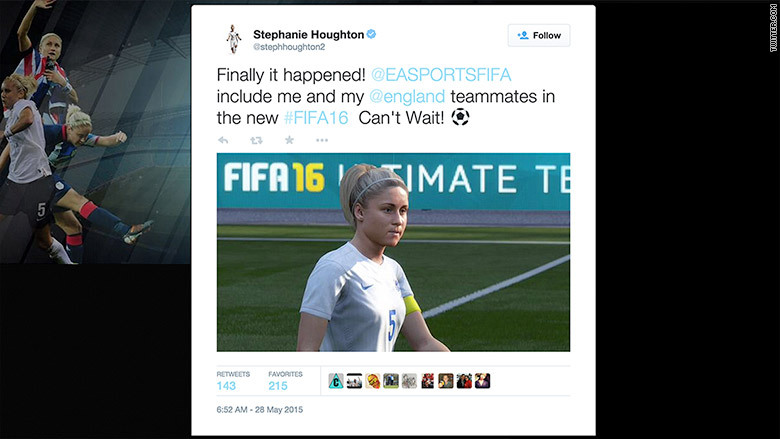 The inclusion of the women soccer players has been a debate point for many fans of the franchise with over 45,000 people petitioning EA on Change.org to add women to the series. Some fans greeted Thursday's news with jeers instead of cheers, attacking EA Sports' decision on social media with criticism and sexist comments. "FIFA 16" hits stores on September 22 in North America.